Students were actively engaged in science experiments when we visited Louis Armstrong Middle School. This fall InsideSchools has been busy visiting lots of middle and secondary schools. Here are links to some of our latest profiles. Mott Hall V is a noteworthy 6-12 school with a structured environment in a modern building. Science and Technology Academy is a Mott Hall middle school that offers the International Baccalaureate (IB) program. Bronx Latin, a 6-12 school has high expectations and inspiring teachers. Bronx School of Law, Government and Justice is conveniently located next to a criminal courthouse where students have ample opportunities to participate in mentoring programs. Hostos Lincoln Academy of Science students take courses at nearby Hostos Community College. MS 8 Robert Fulton , is the middle school component of the popular Brooklyn Heights elementary school. As in the lower school, the focus is on social studies. Bronx Environmental Exploration School (BEES) offers students lots of outdoors experiences, including tending to a community garden and hiking at a wilderness camp. MS 267 is a tiny school in Bedford-Stuyvesant with an award-winning debate team. The Urban Assembly Unison School in Clinton Hill offers a career and technology program to its middle school students. The Boerum Hill School for International Studies offers French dual language and the IB program. Philippa Schuyler, a 5-8 school in Bushwick, has topnotch arts and academic offerings. PS 59 produces a Disney musical every year. Channel View School for Research is located on Jamaica Bay and students in grades 6-12 get ample opportunities to connect with marine life. 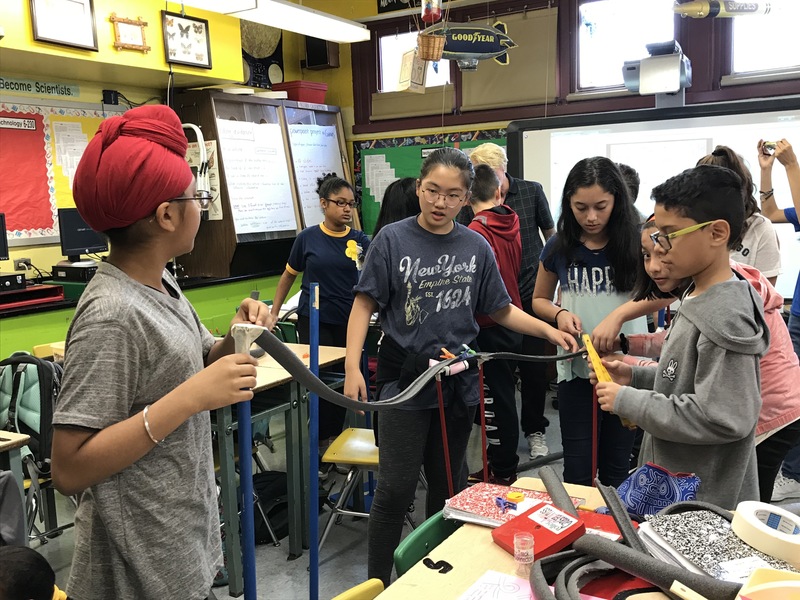 Louis Armstrong middle school, a 5-8 school, believes that children learn best when they have classmates from different ethnic groups, neighborhoods and academic abilities. York Early College Academy: Students who stay at this 6-12 school for high school end up with many college credits.